Rejoice with faith and love! 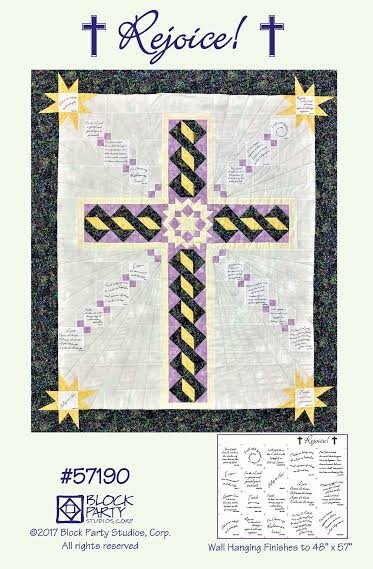 Celebrate your faith with this cross pattern. Quilt made form pattern finishes 48" x 57". Also available is our hand printed Rejoice panel to go perfectly with this pattern.